Pilgrimages and religious destinations all around the world witness thousands and thousands of religious devotees every day but amidst the crowds, there are many people who are not there for prayers or worship. In fact their reasons for visiting the pilgrimage sites are very different: they have come to be inspired, to challenge themselves, to tickle their adventurous side and even to have some fun. A visit to some of the most religious significant pilgrimage sites all around the world is definitely going to be a rewarding experience for all that is for sure, but it not necessary one needs to go there just for making prayers and performing religious activities. One can go there for sightseeing, for fun filled activities, for spending a memorable holiday and the best ones involve a lot of trekking activities. Given below are top list of world pilgrimage destinations. Even if you don’t “find yourself” along the way on your visit to these religious sites, you will definitely find something to tell your friends about once you get back. 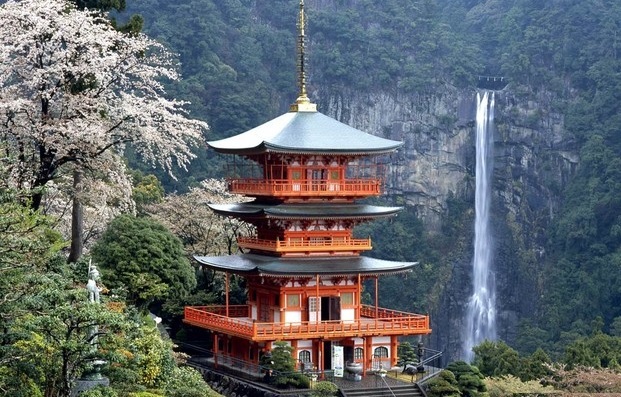 This ancient religious trail was made popular by the erstwhile rulers of Japan in the 10th century. During this trail, one gets a chance to visit three sacred shrines, several protector shrines and gorgeous tea houses. This trail takes one to Kii Mountains in Southern Osaka. You will remain spell bounded with the amazing view of the surroundings. The pilgrimage takes at least 6 whole weeks to be completely finished. You can stay here for as long as you wish to be around. In the vicinity, there are a lot of relaxing hotels where you can spend soothing nights after a tiring trek. 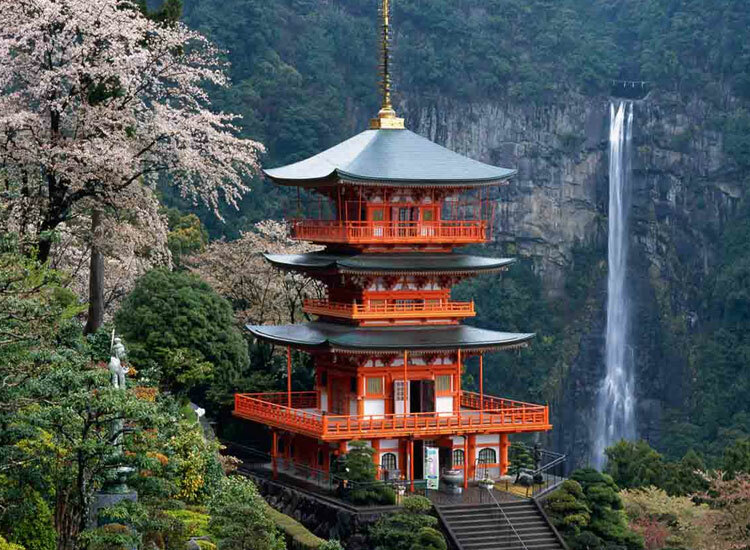 Kumano Ancient Trail is one of the only two pilgrimage walks recognized by UNESCO. Travel Tip: Best seasons for this trek are autumn and spring. From Kansai International Airport in Osaka, aboard a train to Kii-Tanabe and then get on a bus to reach the pilgrimage route trail head. 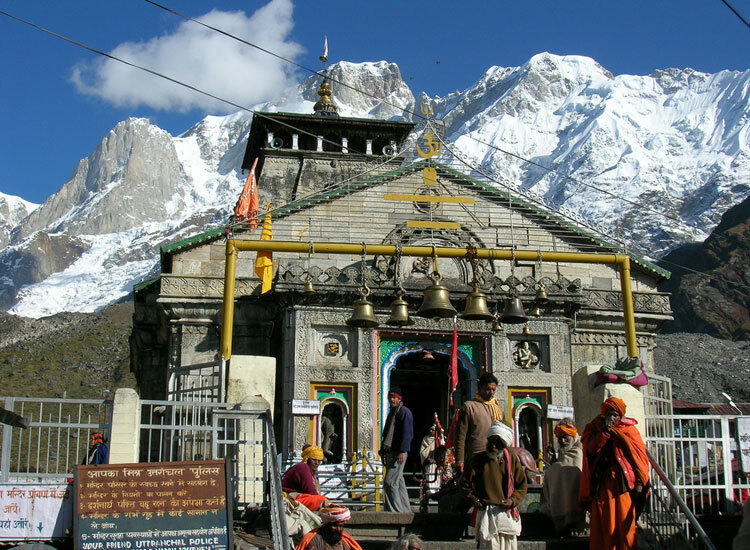 Char Dham Yatra is one of the most revered pilgrimage walk for Hindu pilgrims which covers a trek to four religious sites in Uttarakhand. It is believed that all Hindus at least have to take this Yatra one in their lifetime. But apart from religious aspects, tourists from all around the world take this journey for getting accustomed to Indian traditions and cultures as well. Some travelers also enjoy the bounties of nature while taking this journey. On this journey, one is required to go from East to West covering Yamunotri, Gangotri, Kedarnath and Badrinath as per given order. It takes almost two to four weeks for completing the journey. Travel Tip: The months of May-June and September-October are ideal for this journey so that one could avoid heavy rainfall. This religious trail in Peru is regarded as a life-changing experience by almost every one of those who have been on this walk. 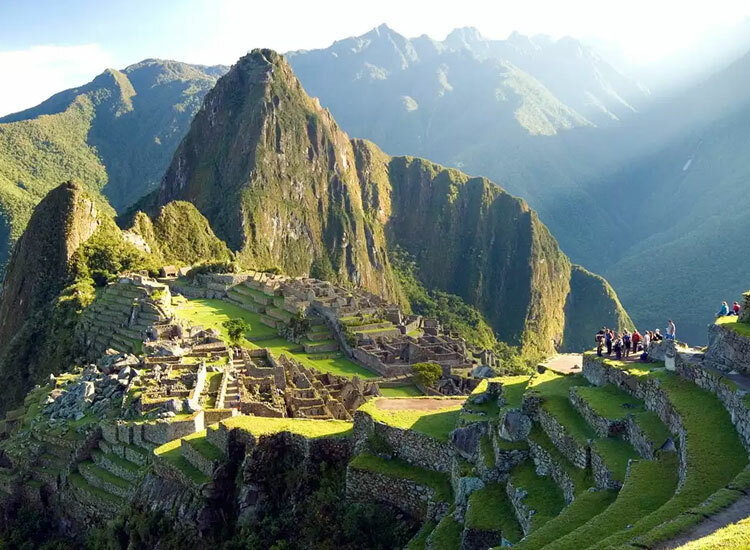 According to historians and religious experts, this trail was designed as a holy pilgrimage by Incas to allow the pilgrims to enter Machu Picchu. This trail which stretches up to 26.7 miles (43 km) is one of the most challenging, difficult and tedious religious walks because the pilgrims who take this journey require traveling to high altitudes while climbing rugged terrains. Peruvian government completely controls giving access to the trail to tourists. Every day, a total of 500 permits are issued, out of which 200 are reserved for tourists. Travel Tip: The ideal time to for this trek is from May to September. You can either take an expensive hour long flight from Cusco or can travel cheaply on a bus from Lima which would take 21 hours to reach. 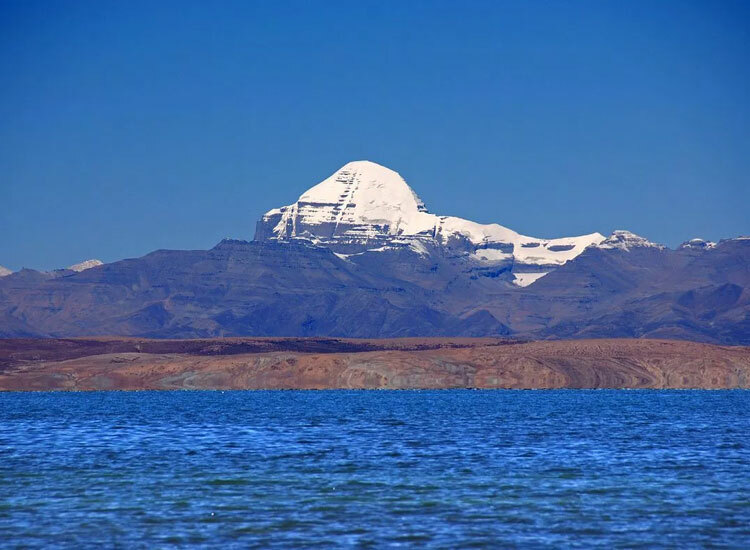 For Hindus, Jains and Buddhist pilgrims, Mount Kailash in Tibet is the most revered journey that is believed to relieve one of his/her sins of his/her lifetime. It is one of the most tedious walks out of all the religious journeys and involves a three day, 52-kilometer trail up on a mountain. It is believed by Buddhism followers that those who could cope up going for 108 rounds will be able to reach Nirvana. Travel Tip: For this journey, the ideal time to go is between the months of April and September. You can go to Kailash Mansarovar by road or even go to Kailash Mansarovar by Helicopter. 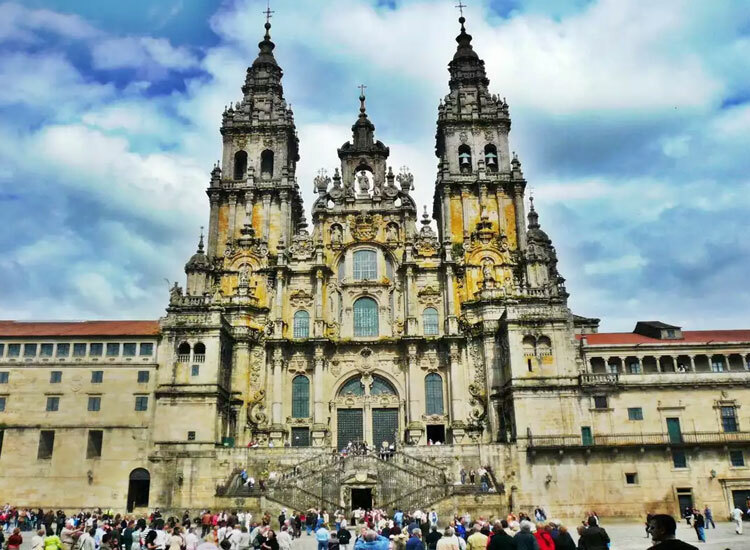 Camino De Santiago, popularly referred as The Way of St. James, is one of the most popular religious walk that leads one to Cathedral of Santiago de Compostela in Northern Spain where it is believed that Apostle St. James is buried. To reach the penultimate destination of this journey, there are several routes. The time taken to complete the journey may vary from two weeks to a couple of months. The most famous route is The French Way which starts from St. Jean Pied de Port and has been recognized in UNESCO World Heritage Sites. The tourists love the surroundings, the local cultures and the small towns and wines while on this religious trek. Travel Tip: The months of July and August are little too crowded and hence the best months to visit are May, June and September. 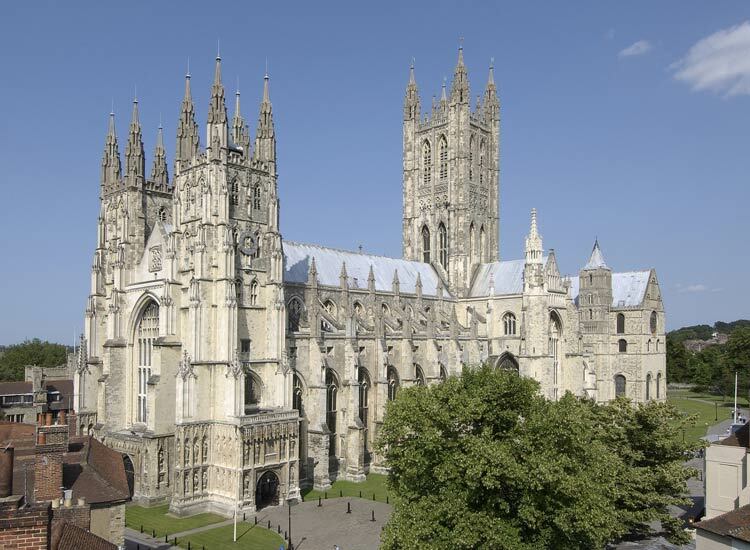 The walk from London to Canterbury Cathedral is one of the most famous pilgrim walks and is called as Pilgrims’ Way. The reason for its popularity was the controversial murder of Archbishop of Canterbury Thomas Beckett by knights of King Henry II. Beckett’s popularity gave him recognition as a miracle maker and he was canonized. A modern day traveler can cover the entire 180 km journey in two weeks.Tourists will particularly enjoy traversing around the lush green countryside of England and will be affiliated with the country’s history. Travel Tip: Plan to go there between the months for April and October. Followers of Muslim religion believe that every “able-bodied Muslim” must complete a trail to Hajj at least once in their lifetime. 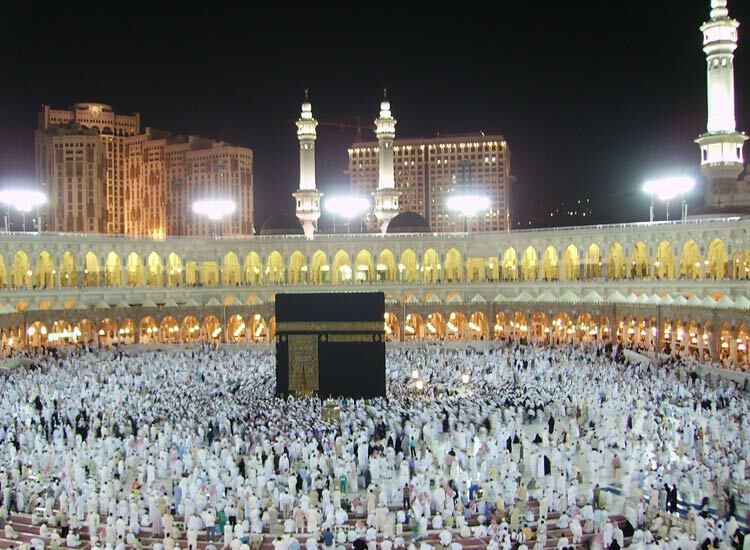 Mecca, in Saudi Arabia, is where the fifth pillar of Muslim religion, Hajj is situated and on the day of annual gathering over thousands of Muslim pilgrims come here to perform rituals. Today, the Hajj is designed after Prophet Mohammed’s journey from Medina to Mecca. Approximately 3 million people participate in this ritual every year. Travel Tip: A person who is not a follower of Muslim religion should not try to enter and those who do so will suffer severe punishment from the authorities. 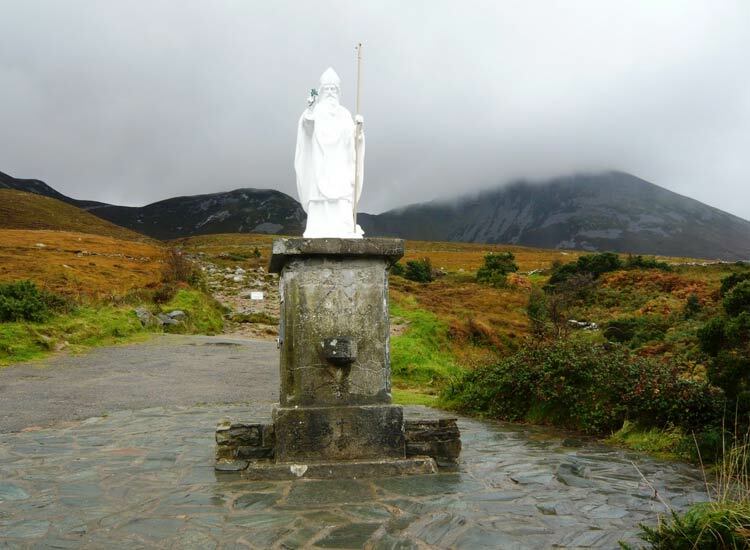 This religious journey takes one along the picturesque surroundings of Ireland while climbing up on 765m high mountains. It is believed that St. Patrick, Patron Saint of Ireland, prayed and went on fasting at nights for 40 days to get the country rid of snakes. Every year, at least a million tourists take this journey, some even walk barefoot. It takes at least a couple of hours to finish the climb. Tourists enjoy the mass in the modern chapel and also the stunning views around. From local pub, you can avail pint of Guinness. Those who are interested in hiking can go for St. Patrick’s Heritage Trail. Travel Tip: The traditional days for pilgrimage are the last Friday and Sunday of July and August 15. Vatican City is where the religious head of Christianity, The Pope, resides and hence it is the home to Roman Catholic Church. Each day, over thousands of pilgrims visit the country. 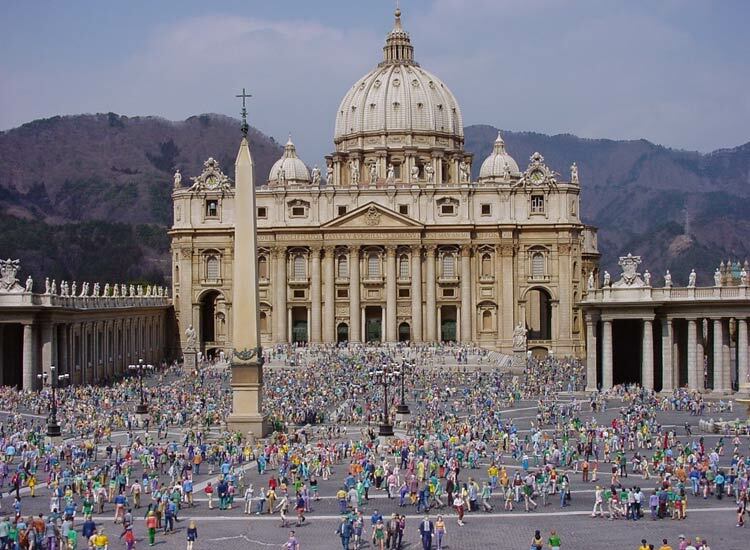 There are numerous churches in Vatican City which are of utmost religious importance for the followers of Christianity. Some of the best churches include Sistine Chapel which is home to The Pope. Thousands of tourists come here, not only for religious aspects but to view the magnificence of the church. The ceiling of the church is painted by Michelangelo and is a spectacular work of art. Another important church here is St. Peter’s square. Even though it is one of the most significant sites for Christendom, tourists love the magnificent architecture of this church, designed again by Michelangelo. Travel Tip: If you wish to see the Pope, he comes out in the balcony at 10:30 A.M. on Wednesdays which you can see from St. Peter’s Square. The Bahai World Center acts as the administrative and spiritual heart of Bahá’í community. The religious site is situated at ‘Akká and Haifa in Israel. Inside the center, other sacred sites are present including Shrines of the Báb, ‘Abdu’l-Bahá and Bahá’u’lláh. 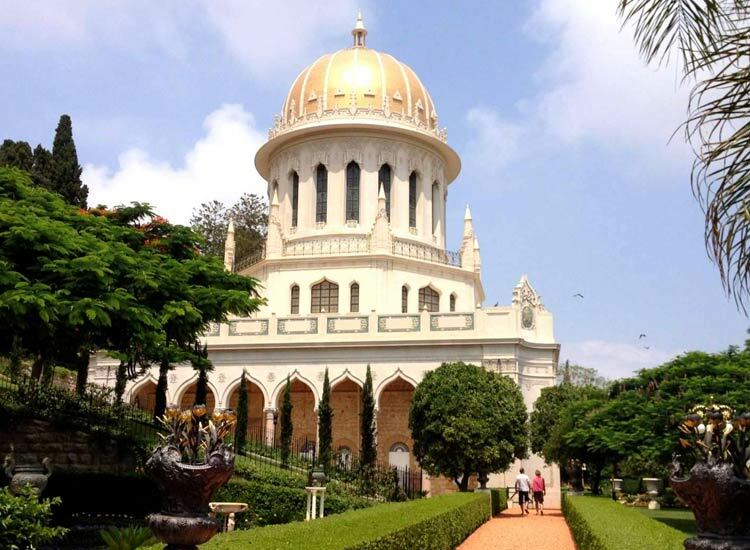 Apart from the shrines, the International Teaching Center’s building, the Center for the Study of the Texts, the International Bahá’í Archives and Seat of the Universal House of Justice, are all in the beautiful gardens of the religious center. Travel Tip: During rainy season, the center might remain closed and hence do not go there during monsoon.